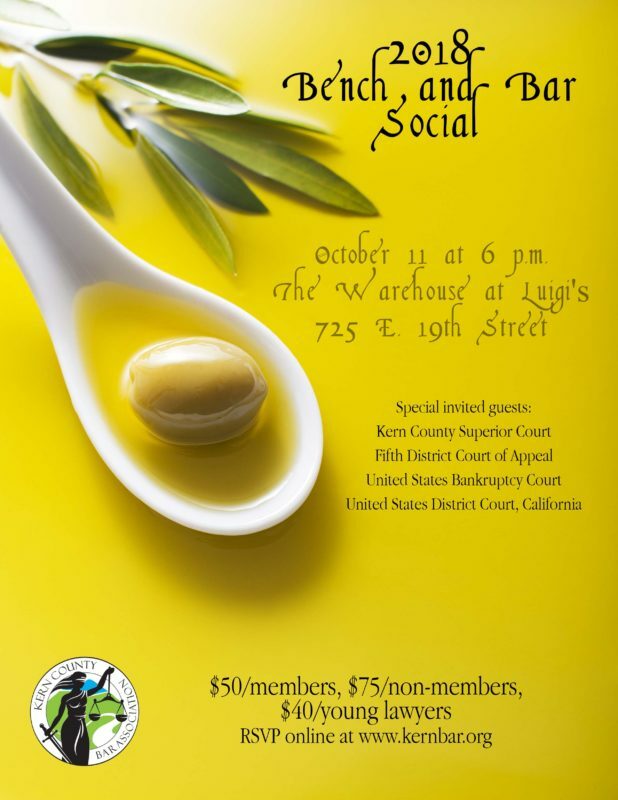 You are invited to the 2018 Bench and Bar Social. Judicial members and their guests – N/C . Please RSVP by emailing or contacting April Flores at KCBA. Thursday October 11, 2018 at 6 pm.